Nelson Eddy (1901-1967) and Jeanette MacDonald (1903-1965) had private lives, like most film stars, outside of the public eye. In a pre-paparazzi era, much was still documented by fans who followed their every move, attended concerts and weekly radio shows, and coordinated with a network of other fans. Yet fans occasionally (or often) saw them together in private moments and wrote hundreds of pages of letters documenting this. Add this to the wealth of candid first-hand information from friends, lovers, family members, associates, co-workers, memoirs, diaries and personal letters – and you have far more detailed and accurate biographical information to offer. Forget the barebones dates and facts and the sanitized versions that can be found elsewhere. If you’re visiting this website you no doubt want to know more – the whys and wherefores of the lives of Jeanette MacDonald and Nelson Eddy. Why did they make this film or that, why did was Nelson all over Jeanette in one film and noticeably “under the weather” in another ( that also shockingly had no real duet)? Did they really hate each other off-screen or love each other? Why did they marry other people? Why weren’t they more proactive in the 1940s to get their film careers back on track? Why do we care so much about these two people and their story half a century after their passing? Above, a rare color photograph from their black-and-white movie Maytime. Below, as they looked off-screen. 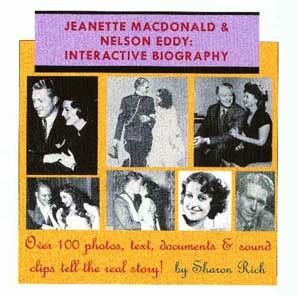 The biographical section on this website contains lengthy excerpts from Jeanette MacDonald & Nelson Eddy: Interactive Biography, a complete, photo-filled book on CD-ROM. Yes, you might have already read Sweethearts by Sharon Rich but the CD-ROM is a companion volume to that book. It lets you take a comprehensive look at the vast wealth of photos, interview clips and information – much more than what could be published in a single softcover book. And photographs tell their own story. 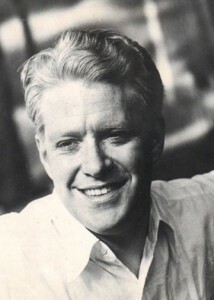 Here, for the first time, is a chance for you to study 100 photos of Nelson Eddy and Jeanette MacDonald, listen to sound clips and interviews (these are on the full edition), have important questions answered so you can see for yourself how the Jeanette MacDonald – Nelson Eddy relationship affected their life choices and careers. For some, it has been a matter of “what you believe.” We think that it’s not a matter of “belief” as much as “what does the documentation show?” Some of it is quite blatantly obvious when you use your own powers of observation. Study for yourself and draw your own conclusions! You might also want to watch the movies again and see various observations that are pointed out in the text. Now that all 8 of their team films (and most of their solo films) have been commercially released on DVD, we recommend that you watch all 8 – in order if you can – and refer to Sweethearts and/or this interactive biography to follow along and understand what was going on behind the scenes. 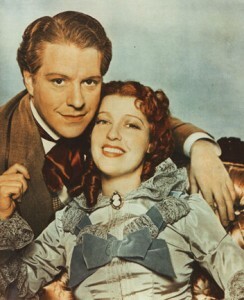 There are five chapters to the online “lite” version of this Jeanette MacDonald and Nelson Eddy biography. The photos accompanying the online text are small, “thumbnail” sized photos. The CD-ROM edition includes many more pages of text plus 160 photos, including one from every movie they made, and more candid shots. Additionally, the CD-ROM allows you to click on every small “thumbnail” photo to take you to larger, full-page photos. For example, click on the photo of Nelson Eddy and Jeanette MacDonald to the right to see a larger, high resolution version. On the CD-ROM you get high resolutions photos for every picture. 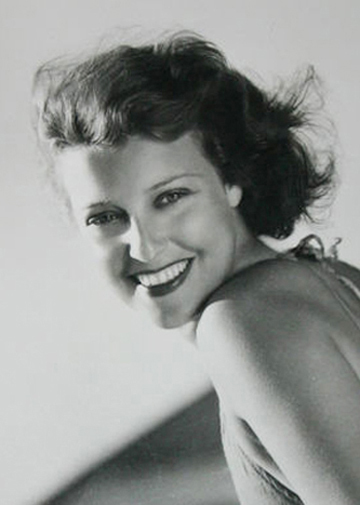 Below, enjoy a sampling of our Jeanette MacDonald & Nelson Eddy Interactive Biography. Purchase the full edition on CD-ROM here. (c) 2000 by Sharon Rich. All rights reserved. ISBN: 09774288-9-3. None of the photos or text from this interactive biography can be quoted without permission from the author. All contemporary quotes were originally published (with their sources documented) in the book Sweethearts, (c)1994, 2001 by Sharon Rich. All photos are from the author’s collection and have been reproduced either in Sweethearts or issues of the magazine Mac/Eddy Today (c) 1977-2000 by the Mac/Eddy Club, and are under appropriate copyright.